How quickly December has come upon us and how quickly the New Year will be here! For some of us, the end of December means our dear friend, the Elf on the Shelf, will depart from our homes and return to Santa’s workshop. Then again, for some of us, our elf never leaves! Ours hangs out all year! 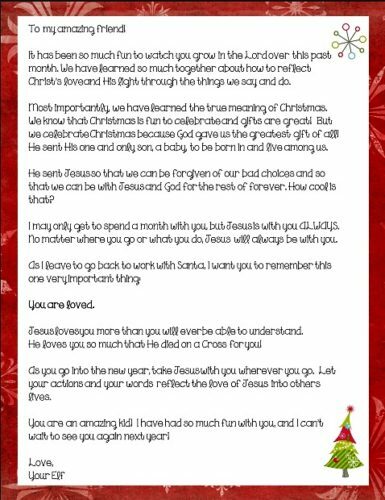 One of the greatest request I have had since beginning the Elf on the Shelf Jesus Style is a farewell letter, and I have finally created that for you! 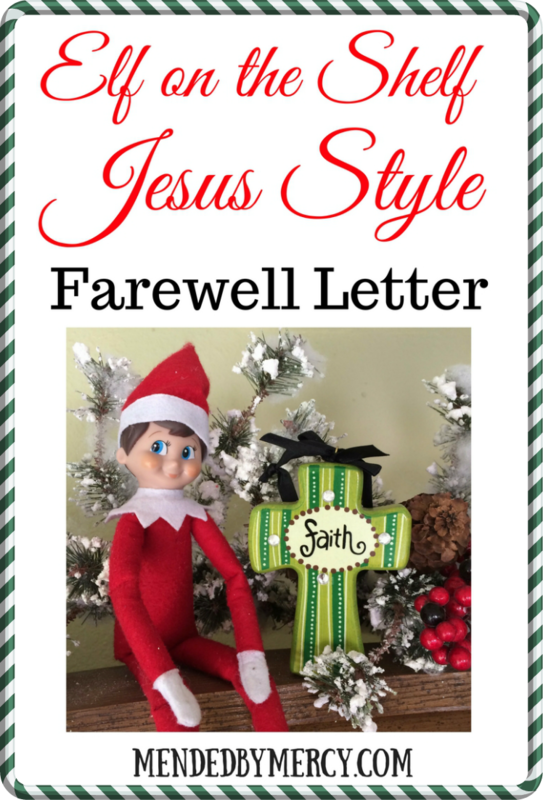 If your elf is heading back to the North Pole next week, I have created an Elf on the Shelf Jesus Style Farewell Letter for you to use to say goodbye to your dear friend. That Jesus is the greatest gift we will ever receive. That it is through Jesus that we will have eternal life. Your elf will also encourage your children going into the New Year. We must remember that God is always with us and our actions and thoughts will reflect that. 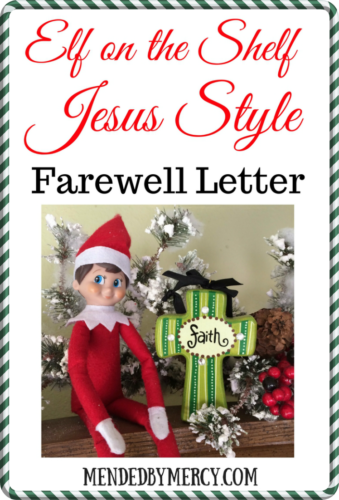 Head over to this link to get your free Elf on the Shelf Jesus Style Farewell Letter !! I pray that the Elf on the Shelf Jesus Style has blessed your families! I must say that all the emails and responses I have received have warmed my heart so much! It is such an honor to know that parents, pre-schools and churches are using this version of Elf on the Shelf and teaching our young children how to draw closer to Christ! And on top of that, it is being used ALL OVER THE GLOBE! That is so incredible! You are incredible!!! Thank you for being a part of this community, and I pray you have a VERY MERRY CHRISTMAS and a HAPPY NEW YEAR!!! This article just saved me a couple of hours Stephanie, last year I haven`t consulted the internet for this and lost a lot of time till I found something usable ! Thanks a ton for this !